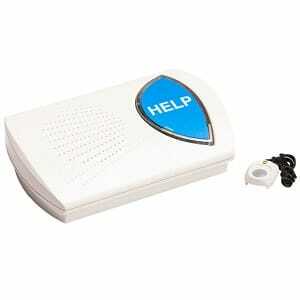 Are you looking for the best medical alert system for your mom or dad? You’ve come to the right place! In our medical alert system reviews, we’ve tested all the top systems out there to help you find the right one for yourself or your loved ones. The evaluations and rankings are based on a methodology that tests the equipment and the medical alert services from multiple angles. 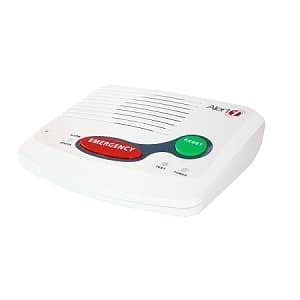 Although medical alert devices are very simple—they connect you to a help agent by the push of a single button, they come with a variety of features you need to consider. Do you need an in-home or a GPS-enabled mobile system? What about automatic fall detection or spouse monitoring? And there are plenty of very similar offers from different providers. You may have a lot of questions, but don’t worry, we’ll help you out! 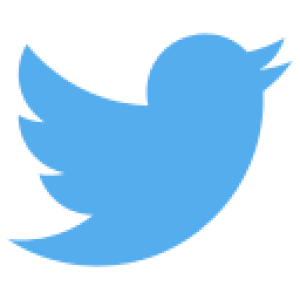 Check out our in-depth case study, our reviews, and methodology where we revealed how we tested and ranked the systems. Plus, our extensive buyer’s guide! Out of all the systems we tested, Lively Mobile by GreatCall emerged as a clear winner as it offers everything we were looking for and more at a low price. It’s understated, waterproof, small and light, highly wearable, and it gives you the freedom to get help from anywhere. You can even directly reach the call center or 911, which is rarely offered. Their call center also picked up faster than the competition, after just 15 seconds. The only negative we could single out was its short battery life. If you charge it every day, this should not be an issue. All in all, it is one of the best mobile medical alert systems—reviews on other websites have also arrived at this conclusion. Read more in our full GreatCall Lively Mobile review. LifeFone has one of the most attractive offers when it comes to the price of additional features. On top of low monthly fees, you can add fall detection at the lowest price on the market. Plus, you’ll get spouse monitoring for free! Their 24/7 monitoring service is willing to help you in any in-home emergency. It comes with a wrist and a neck help pendant that have large ranges and even allow you to answer phone calls with them. If you’re looking for medical alert systems covered by Medicare, you’ll be disappointed to know that there are none. 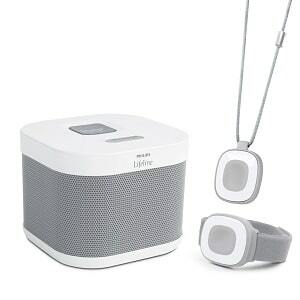 However, there are plenty of affordable options out there—like this in-home system by LifeFone. Read more in our full LifeFone At Home review. 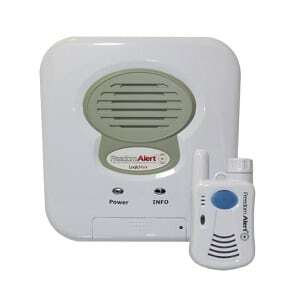 This excellent and affordable in-home alarm from Bay Alarm Medical is our top pick among in-home systems. We especially liked the discounted subscription price of the landline option. You can also inexpensively upgrade it to a cellular option and bring it anywhere with you. The base unit features reliable technology that allows crystal clear two-way communication from an impressive distance. Its waterproof pendant range of 1000 feet is quite generous. We wish the reset button wasn’t so hard to reach, which is a fairly minor complaint that didn’t stop it from topping other lists. For instance, it was named the best medical alert system by PCMag. 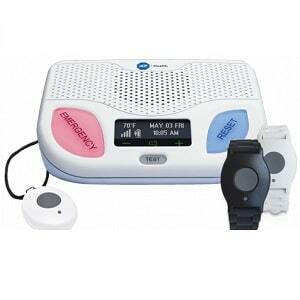 Read more in our full Bay Alarm Medical In-Home System review. 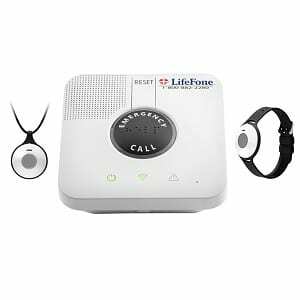 If you don’t need a mobile alert system or prefer in-home systems, this solution by LifeStation is a great choice. It’s reasonably priced, easy to use, and features top-notch help specialists. It’s offered both as a landline and a cellular option. While its range is rather limited, it’s great for homebound people or for those who only want to be protected in one place; for instance, the shower. As with every in-home senior monitoring system, you have to be within shouting distance from the base unit. Though the call center can still send help if you press the help button, they can’t hear your request. Read more in our full LifeStation At Home review. You can view the Active Guardian as a replacement of the fantastic Premium Guardian which is no longer available. This is still a great mobile medical alert system packed with advanced location technologies, although a bit chunkier than our top pick, which is probably due to its outstanding battery. Compared to the Lively Mobile, this device has a much greater battery life—it can last five days on a single charge. It also has blinking lights, which we didn’t like because it made it stand out more. Other than that, all the other features of this device make it a great portable option. Read more in our full Medical Guardian Active Guardian review. The Classic medical alert system by MobileHelp comes by default with the cellular option, meaning you don’t need a landline at home and you can move it freely around the house. You also don’t need a cellular contract, and there are no long-term contracts or hidden fees whatsoever. The help button device is a choice between a neck pendant or a wrist button, both waterproof. Their range, however, is quite modest. They also offer inexpensive add-ons and bundling with their GPS system, and MobileHelp Connect allows activity tracking of the user. If you’re looking for an affordable alert system for seniors, you can’t go wrong with the Classic. Read more in our full MobileHelp Classic review. GoSafe 2 is a new mobile alert system by Philips that’s pricier than some rival options, plus, they require you to pay for the device upfront. But no contracts are required, and the device is well worth your money. This is a high-quality, sleek, waterproof device packed with advanced features. First of all, automatic fall detection is included in the price. Secondly, the system uses five location technologies to pinpoint your location accurately and send help of your choosing; whether that may be a family member/friend or an emergency service. Unlike the original GoSafe, there’s no base station involved in this elderly emergency alert system. 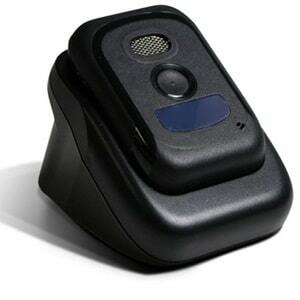 Read more in our full Philips Lifeline GoSafe 2 review. For a price of less than $1 per day, you can get the Classic Guardian, which protects you at home via a landline connection. 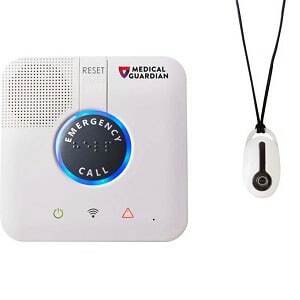 Even though this is the cheapest option from Medical Guardian, the pendant of this system has the most impressive specified range of 1300 feet. However, as with LifeFone’s system, which shares a base unit with the Guardian, the real-life pendant range is substantially shorter. Both the help button and the base station are well designed and minimalist. And more importantly, they work great. Two-way communication through the base unit was loud and clear. While it worked perfectly indoors, people using this system shouldn’t wander too far away from the base. In case you want something extra in this regard, consider getting the Active Guardian or the Mobile Guardian. Read more in our full Medical Guardian Classic Guardian review. The Mobile Guardian is a bit confusing. We imagine that Medical Guardian envisioned this medical alert for senior citizens to be a solution that’s halfway between an in-home system and a mobile system. It’s a cellular in-home system, but the base unit is smaller and more mobile than usual. You also get a pendant with a very small range. So the point of this medical alert system is to carry both devices with you, which is rather unconventional and perhaps impractical. We welcome different approaches, and this system might be ideal for some people because it presents you with multiple ways to use it. However, for this much money, you can easily get fully mobile systems. Also, it’s not possible to add automatic fall detection, which might be a dealbreaker for some people. Read more in our full Medical Guardian Mobile Guardian review. The AARP endorses medical alert systems because they encourage people in their old age to maintain an active lifestyle which helps them avoid having to enter a nursing home. This great mobile system by Bay Alarm Medical is very affordable. Furthermore, it will give you the liberty of almost unlimited protection anywhere you go. The response times in our tests were acceptable, but we have also seen much better services than this one. 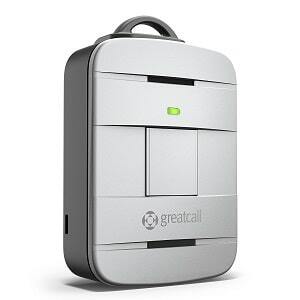 Though cheaper than some in-home systems, it’s still a bit more expensive, larger, and it lacks some of the features of our top pick, the GreatCall Lively Mobile. Read more in our full Bay Alarm Medical GPS Alert System review. When choosing among medical alert systems for seniors, smaller and less conspicuous isn’t always better. The waterproof pendant of this Alert1 system has a very visible and large red button—there’s no way you can miss it in an emergency. Their call center is great, providing support in nearly 200 languages. We were disappointed by the short pendant range and the modest 24-hour battery backup of the base unit. Also, they require a minimum of three months of commitment. However, they are the only company to offer every single additional feature we looked for, including free spouse monitoring. Plus, fall detection and the cellular option come together, so you’ll get both at the price of one. Read more in our full Alert1 Home Medical Alert review. Rescue Alert doesn’t offer many additional features but what they offer is good and reliable. Their in-home system features the longest base-unit backup battery life, and the pendant range is much better than specified. Their help personnel is EMD-certified and capable of providing service in up to 150 languages. You can test their system for a month risk-free and return it if it doesn’t suit you. The cost of the services and the monthly rental of the equipment is average. They offer one unique option that makes them stand out from the competition—you can make a one-time payment to buy the equipment and get lifetime service. Plus, you get a free lockbox or a secondary pendant with free monitoring making this model rank quite high in our medical alert reviews list! Read more in our full Rescue Alert Medical Alert System review. 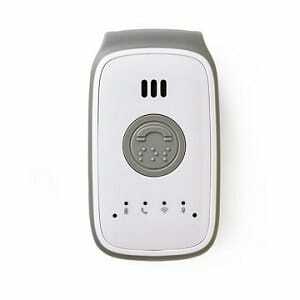 Philips Lifeline also makes in-home alert systems. Again, the monthly subscription for this well-renowned brand’s setup is steeper than that of its competitors. For instance, opting for automatic fall detection drives the monthly costs by 50%. Lifeline was the first alert system in the US. After acquiring them, Philips kept all the good things about the service, which took decades to perfect. That is why you’ll need to pay a little extra if you want to get a super-reliable service provider. If you choose this option, try looking for a deal elsewhere. Retailers like Walmart offer medical alert systems at more appealing prices. Read more in our full Philips Lifeline HomeSafe review. ADT is a leading home security company. When it comes to their medical alert systems, we recommend the cellular option over the basic setup in this case. 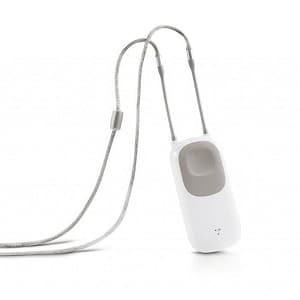 Their landline system, the Medical Alert Basic, doesn’t have an option for a fall detection pendant, and it has an extremely short, 300-foot range. While the basic option is a few dollars cheaper than average, the ADT Medical Alert Plus gives you affordable fall detection and multiperson monitoring. You pay for the first additional person, but there’s no added monthly charge if you want to add up to two more people. This is great for large households since everyone can get fall detection pendants at a flat price. We liked this option, and we were willing to overlook short pendant ranges and the lowest battery life out of all the systems we tested. Also, note that they offer a very limited range of additional features. Read more in our full ADT Medical Alert Plus review. There are no medical alert systems for seniors free of monthly fees—except for this one! If you don’t want to pay any monthly fees whatsoever, you can opt for this in-home system from LogicMark. Unfortunately, this also means there’s no help center. Instead, you can add up to four contact numbers to call when you press the help button, plus, you can reach 911 directly. Another unique feature of this system is the fact that you can talk through the pendant device. It’s like a mini walkie-talkie that, in our eyes, looks very antiquated. Also, it’s not completely waterproof, and the systems lack some basic features such as fall detection. Read more in our full LogicMark Freedom Alert review. Lastly, we come to Life Alert, perhaps the most famous medical alert system company. Their catchphrase “I’ve fallen, and I can’t get up!” was ubiquitous in the early ’90s. We decided from the beginning that they would be placed last on our list. Why? Because users are required to sign a 36-month contract that they can only get out of if they permanently go into a 24/7 care facility or if they die. This was almost a dealbreaker for us because you can’t know if a system is good for you until you test it. You can’t return your Life Alert bracelet if it doesn’t work out for you. Also, you can’t get much useful information from their website or customer service. Ultimately, many newer and better services emerged over the years that make their offer look outdated by comparison. 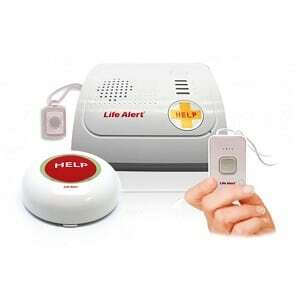 Read more in our full Life Alert Medical Alert System review. A medical alert system only works if you wear it or keep it close to you at all times. That is why the willingness to use it is the most important aspect of an alert system. Well-designed, light, and unobtrusive devices are much more likely to be used day-to-day. Ease of setup and use also helped systems score higher on our list. Truthfully, all of the items on our list are easy to use. Response time is essential. We spent a lot of time test-calling and talking to live agents of all monitoring centers. We evaluated their response time and their competence in helping us in every imaginable scenario. These findings also massively influenced our medical alert systems ratings. Furthermore, we awarded bonus points to call centers capable of providing help in languages other than English. The best ones could communicate in over 200 languages. Next, for in-home systems, we focused on diligently testing their indoor and real-life outdoor ranges. They mostly proved to be as advertised or better than expected. As for mobile systems, we tested their GPS accuracy. If you’ve ever used GPS in the Maps app of your phone, you know that its accuracy can vary greatly. Unfortunately, that was the case with accuracy of the GPS tech in the devices we tested in our medical alert system reviews. Battery life of mobile systems differed vastly from model to model ranging from a single day to over a week. This is an important feature but seeing as we recommend you to charge your device every day, it did not sway our decision as much. The claim that a short battery life is not a dealbreaker is particularly true if we talk about the battery life of the base units of in-home systems. The average battery life is over 24 hours, which is more than enough to bypass a typical power outage. In the end, when you compare medical alert systems and find most of them to be identical, the only thing that sets them apart might be their price. Expenses truly matter because they accumulate easily through monthly fees and additional features you opt for. And although you don’t want to be stingy on an important issue such as this, you also don’t need to pay unnecessarily large amounts of money on things like cancellation fees. The other thing we were adamant about were long-term contracts. Aging is so unpredictable, and we avoided companies that require multi-year contracts and have strict cancellation and refund policies. Most companies are not so prohibitive, and this is also important if you want to try out various systems to figure out which one is the best medical alert system for you. In fact, one of the oldest and most famous companies – Life Alert, scored so poorly because they require a minimum of three years of commitment. People can only cancel their contract by moving in permanently to a nursing home or by dying. On top of that, they have additional fees that are included in their competitors’ offer, such as a fee for a technician to set up the device in your home. All of this made them finish last in our medical alert system reviews. Who Should Buy a Medical Alert? Why Not Just Use a Cell Phone? How Do Med-Alert Systems Work? Seniors, especially those who live alone, who want to retain their independence and not go to a nursing home, can benefit the most from a medical alert system. A lot of illnesses and emergencies associated with old age such as heart attacks and strokes require urgent medical attention – every second counts in those situations. Other nasty incidents dreaded by the elderly are falls. A fall can leave an old person laying on the floor helpless for a long time. A med alert for seniors is a great solution because it can give them a peace of mind that help is one press of a button away. Old people are not the only ones suffering from serious illnesses, unfortunately. An alert system can be just as life-saving for younger people who live alone. If you’re a person who’s extra concerned with safety, it can come in handy even in events such as fires and burglaries. As you can see, there are numerous uses for alert systems. The most important thing to remember is that they are only helpful if you dedicate yourself to wearing them at all times. You may wonder, why opt for a medical alert service when you can use a regular cell phone, a smartphone, or any other device capable of communicating your problem? Nearly everyone carries them around today. However, they’re not quite the same thing as it may seem. First of all, we have to remember that we’re mostly dealing with older people who are not so tech-savvy. They can also have conditions like dementia and other impairments where the simplest solution like a help button is the best. In those cases, senior alert systems beat out even regular visits by relatives. Secondly, alert systems have many other advantages over your phones. Not every phone is water-resistant, and they are not as dependable and reachable when you have to use them in the shower. They also don’t have automatic fall detection, they don’t share your location by default, and their batteries last significantly shorter. Also, in non-emergencies, when you can’t call 911, you’d have to depend on the people you’re calling to pick up and be able to help you whereas help centers are available to you 24/7. Still, if you can’t afford to make monthly payments, it’s better to have a phone around than nothing at all. 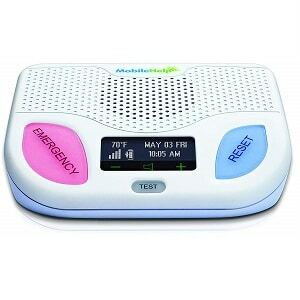 The simplest and the best medical alert system with advanced features operate similarly. The most basic in-home setup consists of a base unit that uses a telephone line to establish a connection and a help button you wear on yourself that has a certain range. They are very simple to install – connect the phone and the base unit (which looks something like an answering machine) using a phone cord and plug in the power cord. There’s usually a green indicator telling you that you’re good to go, but it’s also recommended to run a test. When you connect to a live agent, tell them you’re conducting a test. They won’t mind; on the contrary, most companies encourage this. The base unit of all the models we’ve reviewed also doubles as a speakerphone, and there’s usually an emergency button on it as well as a reset button. Pressing the emergency button does the same thing as pressing the help button on the pendant. Pressing the reset button can either cancel the call or silence the beeping sound. You’ll still have to talk to the agent and explain to them it was an accidental call. This is to make sure that you haven’t confused the buttons. All the top medical alert systems also have a built-in backup battery allowing you to use them even during power outages. The pendant is the second piece of equipment, the device you wear which contains the help button. They are almost always waterproof, and most of them have embedded GPS technology. Some of them feature fall detection, which comes with additional monthly costs. You can wear them as a pendant necklace, like a watch on your wrist, or around your waist. The ones that are a part of in-home systems have a limited range away from the base unit which is good for distances in and around the house. Though it limits your movement, it’s much more inconspicuous than a mobile system. Mobile systems contain the technology found in base units so that you can speak directly through them. 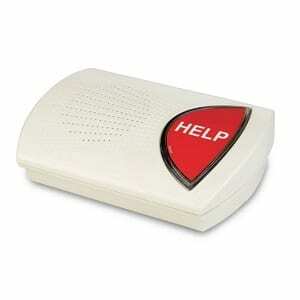 We’ve already explained the basics of home medical alert systems in the previous paragraph. What’s there to add is that they also come with a cellular base station option. You can choose them if you don’t have a landline or if you want to be able to move it around the house. Cellular options cost extra though. An in-home system is ideal for people who hardly ever leave their home. The maximum range you can expect from them is around 1,500 feet. You certainly won’t need a greater range than that because you’ll have to be near the base unit to hear and be heard by the live agents. Mobile medical alert systems with GPS positioning are great for people who maintain an active lifestyle. They give you complete freedom of movement, and they work wherever there’s a cell signal. Another huge advantage of mobile systems is that you can talk directly through them whereas you cannot talk through the help button pendant of an in-home system. Mobile systems come with a few drawbacks though. They are still small enough to be carried around and worn (typically on your belt), but they are heavier and larger than a simple portable help button. Moreover, you’ll need to charge their battery regularly – it’s best to pick up the habit of charging them every day. Finally, they have larger monthly fees than in-home systems. Ultimately, when it comes to additional features, you can get them for mobile systems as well. The way you communicate your emergency to the response center differs greatly on whether you choose an in-home system or a mobile system. As we’ve already explained, the live agents can’t hear you through the help button pendant of an in-home system. Other than that, their modus operandi is the same. In an emergency, press the help button on your wearable device or on the base unit to call for help. The system will automatically dial up the monitoring center and start beeping loudly to indicate that it is trying to make a connection. The time it takes a live agent to answer is rarely the same, but it’s always under one minute. The average response we got during testing for our medical alert system reviews was around 20 – 40 seconds. The agent will ask you what your emergency is and whether you need help. If you’re unable to talk to the agent, they will call the people on your emergency contact list. If the agents can’t reach them, they’ll call 911 and dispatch them to your location. Most of the services require you to provide medical information in advance that goes into your database. This usually includes pre-existing conditions, the medication you take, your physician contacts, allergies, and so on. If you’re looking for a deal on a medical alert system, Consumer Reports and other sources confirm that you can bargain with certain medical alert companies to bring the price down a bit. The general rule is the more freedom you get, the more you’ll have to pay for its monthly subscription. The majority of companies don’t force you to sign a multiyear contract but look for those that offer discounts if you do sign it. Also, most companies have no activation and cancellation fees. And some even offer free equipment delivery. Unmonitored medical alert systems come with no monthly fees, but they are rarely offered. Basic in-home landline systems cost $25–$35 per month. Cellular in-home systems are a bit pricier and cost $35–$45 per month. Mobile systems are not only the most expensive, costing as much as $65 per month, but they may also require you to pay for the device upfront. However, opting for a mobile system eliminates the need for you to get some of the following additional features. Each selected additional feature will add to your monthly payments. Of all the useful additional features, we find that the inclusion of fall detection technology is the most important. According to the National Council for Aging Care, 95% of hip fractures are caused by falls. Medical alert systems with fall detection are more or less accurate in detecting falls that can lead to serious consequences. Breaking a hip is a life-threatening condition in old age. The sooner you get help, the better. Devices equipped with this technology will automatically initiate a call when they detect a fall. This feature comes by default with mobile systems since your location needs to be known at all times for you to get help. Some companies also offer relatively inexpensive bundling of GPS-enabled mobile devices with an in-home system. Having this additional feature can be very useful if you wander too far away from the base unit. Usually, for a small additional fee, you can extend the protection of an in-home system to your spouse, or any other person in the household. 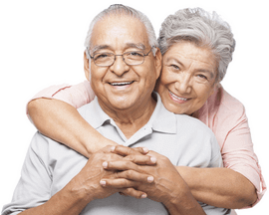 This is a great option for senior couples who won’t need to pay for an entirely new system, but only a few dollars more for an additional help button pendant. Speaking of additional help buttons, you can get wall-mounted buttons as well. You can then position them strategically around the house in places where you are likely to take off your pendant, such as the shower. An elderly medical alert is most needed in the bathroom because researches have shown that the majority of serious accidents happen there. Voice extenders can be a very useful feature, especially if you live in large houses. In-home systems depend on the ability to communicate through the base unit. Though they do have sensitive microphones and loudspeakers, you won’t always be close enough to hear each other. A voice extender is like a miniature base unit you place around the house. This feature allows you to talk to the live agent just like you would through a base unit. While most companies charge extra for this feature, some offer a wellness check-in service for free. The agents call you periodically to ensure you’re OK, and that the equipment is working properly. Similarly, some companies offer the option of calling you every day at a certain time to remind you to take your medication. Some of the best medical alert systems also have fire and smoke detection technologies built inside their base unit or offer this as an upgrade. Of course, for an additional cost, you can also get CO monitoring (carbon monoxide is an odorless lethal gas). One more practical add-on is the ability to buy a lockbox you place outside your front door. It contains a spare key so that when you call for help, but can’t open the door, the responders can get in without having to knock down your door. The service will give them a code needed to open the lockbox when you call for help. 1. 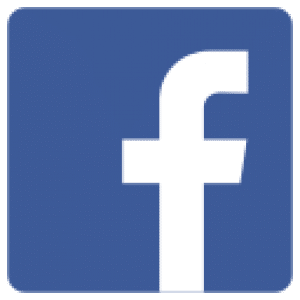 What is a medical alert system? Medical alerts are simple systems that consist of the equipment and the specialized help center. The equipment typically includes a base unit and a wearable help button. 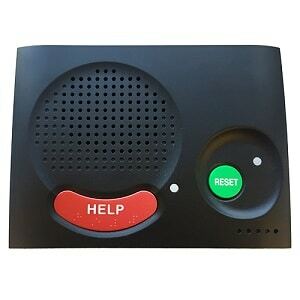 At a push of a button, the help agents respond in seconds to assist you in any type of emergency. 2. Who can get one of these systems? You don’t have to only get med alerts for seniors! Everyone who wants to feel safer can get them, but they are especially beneficial for elders who live alone, physically frail people, people with serious health issues, people who have previously experienced falls, people who live in unsafe neighborhoods, etc. 3. How does a med alert work? Unlike cellphones, medical alerts are specially designed to be as simple as possible and to help people in emergencies as fast as possible. You don’t need to dial any numbers, you simply need to push one button and wait a few seconds to get help. 4. Who answers the call in the event of an emergency? Medical alert companies have specialized monitoring centers with trained help agents who are available 24 hours a day, 7 days a week, every day of the year. Some offer services in up to 200 languages, and they can alarm your caregivers or dispatch 911 when necessary. 5. How long does it take to answer the call? It takes less than one minute for the monitoring center to respond from the moment you press the help button. While testing and comparing medical alert systems, we found that the response times differed greatly from company to company, and some were able to respond in as fast as 15 seconds. 6. What types of systems exist? There are two types of medical alerts – in-home and mobile systems. In-home systems consist of a base unit and wearable help pendant that works within a certain range from the base unit. Mobile systems are all-encompassing devices that work wherever there’s cell coverage. 7. Do I need to have a landline? Most companies offer two options for their in-home systems – landline and cellular. Therefore, if you don’t have a landline, you can opt for the cellular option which costs a few dollars more per month. 8. Will I be protected when I leave my home? Yes, if you have a mobile system. In-home systems only provide help in your home and your yard, but you cannot communicate through the help pendant – you have to be within shouting distance from the base unit to be able to communicate. 9. Do I need automatic fall detection? Falls can be devastating for frail seniors. Many people get a senior emergency alert system for the sole purpose of helping their loved ones in the event of a fall. Most companies offer automatic fall detection as an additional feature. Consider getting it if you or your loved ones are at risk of falling or have experienced a serious fall recently. 10. Are medical alert systems waterproof? Yes, nearly all of the devices on our list are waterproof and suitable to be worn in the shower. This is a very important feature because most falls happen in a wet environment such as the bathroom. 11. Can multiple people in the household use the same system? 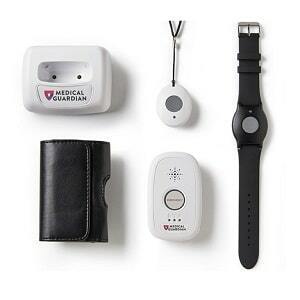 Yes, most companies offer affordable medical alert monitors for multiple people in the household. Additional help pendants add only a few dollars to your monthly costs, and you don’t have to buy a whole new system. Mobile systems, however, provide help for only one person. 12. What if I call for help but am unable to communicate? If you press the help button in an emergency, but you can’t speak for whatever reason, or if you are too far away from the base unit to hear the help agents and be heard, most companies will call your caregivers or 911 and dispatch them to your location. 13. What if I accidentally press the help button? Don’t worry if you’ve accidentally pressed the help button. Most systems have a reset button, but you’ll still need to explain to the help agents that it was a false alarm, just in case. You can also press the help button once in a while to test the system; the agents won’t mind this as well. 14. How much do medical alert systems cost? Because all the best medical alert devices include a 24/7 monitoring center, you have to pay ongoing monthly fees for them. They are typically around a dollar a day, or about $30 a month, but the cost of the services varies from system to system. Landline in-home systems are the cheapest, followed by cellular in-home systems, while mobile systems are the most expensive. 15. Are these systems complicated to install? Not at all – med alerts are just as simple to install as they are easy to use. You only need to plug in a couple of cables or just call the monitoring center for the first time, and you’re good to go. 16. What is the best medical alert system? We can’t offer a simple answer to this question. The choice of a medical alert system is subjective, and you first need to decide what type of system you need. They have many features we compared in our medical alert system reviews as well as many additional features to choose from. It can be confusing to decide which ones you need. This is why we are here to help you with any questions you may have.